The Hyatt Regency Morristown is Garden State Fondo’s official host hotel, located right on the start line. The hotel offers upscale rooms with sweeping views overlooking Morris County. The prime location is within a 5-10 minute to over 60 options of restaurants, shops, entertainment venues and the New Jersey Transit Station. Special rates available for Garden State Fondo participants in the link below. 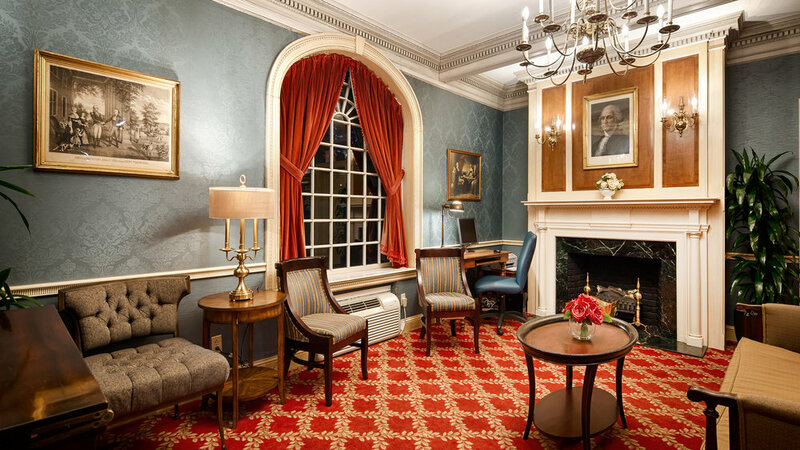 Named after New Jersey's first Governor, The Westin Governor Morris offers guests a compelling blend of historic charm and modern style. Awaken refreshed and dine at Blue Morel Restaurant and Wine Bar, which showcases farm-to-table cuisine served in a polished setting. Prioritize your wellbeing with a luxury spa treatment at The Spa or make a splash in our seasonal outdoor pool. Parking, Wi-FI, and full hot and cold breakfast buffet with made-to–order omelettes are all included in the special accommodation package offered to Garden State Fondo participants.